Heavy training (lots of weekly mileage or very long runs) and staying healthy can often become difficult for many athletes to achieve and nutrition is a lot like training. It’s always a good idea to have several tools in your toolbox to pull out and use, but it’s also important to have a good overall plan that you adhere to the majority of the time. 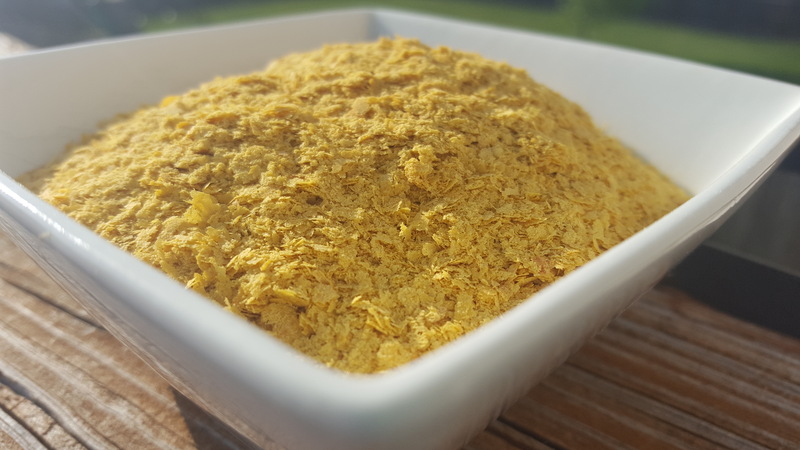 So let’s talk about one more nutrition “tool” you can add to the collection – nutritional yeast. Nutritional yeast has been shown in studies to help endurance athletes in their quest for improved fitness and health. After long, exhaustive exercise (long runs, high weekly mileage, or more mileage than your body is accustomed to) your white blood cell count tends to go down(1). For anyone that is training for a distance event, or working out on a hard and consistent basis, you will likely experience some type of depressed immune function at some point. Cool thing is, there is a way to help counteract this, using nutrition as your tool. The secret lies in the fact that nutritional yeast is a source of beta-glucan, which activates white blood cells. The binding of the beta-glucan to cellular receptors flips white blood cells on and triggers a chain reaction leading to increased immune activity. In addition to increasing the the ability of neutrophils (a type of white blood cell) and macrophages (another type of white blood cell) to engulf and destroy microbes and other foreign cells, the binding stimulates the production of important signaling proteins of the immune system (like IL-1 and IL-2). In one study(2) those who ate ¾ of teaspoon a day of special type of fiber found in baker’s, brewer’s, and nutritional yeast did not have their white blood cell count go down. This lead researchers to wonder if this would also mean fewer illnesses in endurance athletes. They tested this theory with a study conducted on runners in the Carlsbad Marathon. So if you’re interested in trying some for yourself know that nutritional yeast has a flavor that is probably best described as “cheesy,” making it ideal for sprinkling on foods like pasta and potatoes. I personally put in my smoothies as it has a very mild flavor and isn’t noticeable. You can find nutritional yeast in the bulk section of most health foods or you can order it online here. If you know someone else that will find this article helpful click here to share it with them. This entry was posted in Blog, Nutrition & Fitness. Bookmark the permalink.